The platform for success includes quality, service and a dash of ingenuity. Here are some of the product innovations developed by the 2014 WOOD 100. J. Alexander Fine Woodworking, Nampa, ID — Innovation, quality, service and productivity are some of the hallmarks of this custom furniture and cabinetry shop. Read more about J. Alexander's Apple-inspired creation. Premier EuroCase, Denver, CO — A maker of components and casework for the retail fixtures industry, the vertically integrated firm has invested in technology to increase not only its productivity, but also for the development of new products. Read more about Premier EuroCase's TFL panel products. 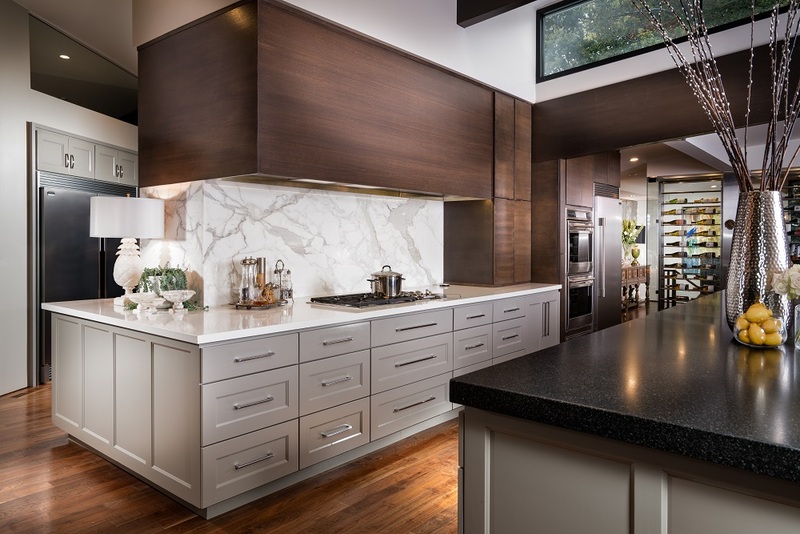 The custom cabinet and millwork shop’s sales grew a whopping 128.9% in 2013 due in part to its product innovations, including the implementation of materials such as metal panels, reclaimed wood and “live” edges, in its cabinet products. “Our willingness to not say no to a designer/clients ideas has paid huge dividends for our company,” says Chad Stephens, project manager. 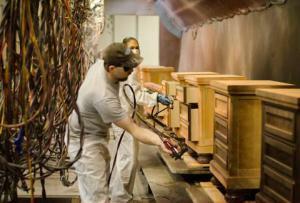 The company also improved its capabilities by purchasing an edgebander, spray booths and a resaw last year. On the agenda for 2014 are a CNC router and dovetail drawer manufacturing equipment. 2013 sales at the wood componentsmaker grew 9.8%, due in part to its willingness to partner with companies on diverse product solutions, with the capability to manufacture virtually any product, in any quantity, the firm states. 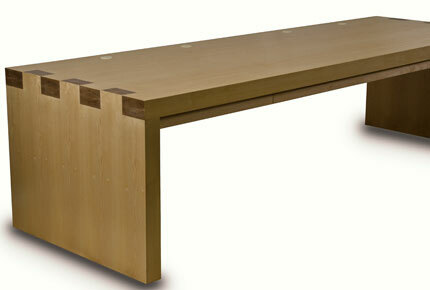 Products are also sold under the Designs of Distinction and Gavel Co. brands. “We focused on the ease of our solutions to fit the needs of our customers. Plus, we launched four new, on-trend product finishes to help differentiate our customers from others on the market,” says Jennifer Dusina, communications manager. The company’s manufactured product lines include: the freedomRail adjustable storage system; the Classica custom, built-in system with the look and feel of high-end furniture; and the budget-friendly Lifetime Ventilated Shelving. The storage and home organization firm also rebranded from Schulte to Organized Living. A reinvention of the Lazy Susan, the KornerKing turns a once wasted corner into an easily-accessed, usable storage area, and can be retrofit into existing cabinets. The sides of the rotating platform are low enough to easily reach into, but high enough to keep things from falling over the edge. “With a full cabinet shop at my disposal a prototype was developed and the KornerKing was born,” Owner Pete Mai has said of the invention. The high-end commercial interior and millwork firm thrives on the unusual. “I’ll take on jobs most companies won’t,” says President John Hand. Past jobs have included the re-creation of a 54-foot boat hull, a 3-Form illuminated bar as well as a security desk which featured 1-inch blue laminated glass rings surrounding a white high-gloss-lacquered MDF exterior, with stainless steel accents. 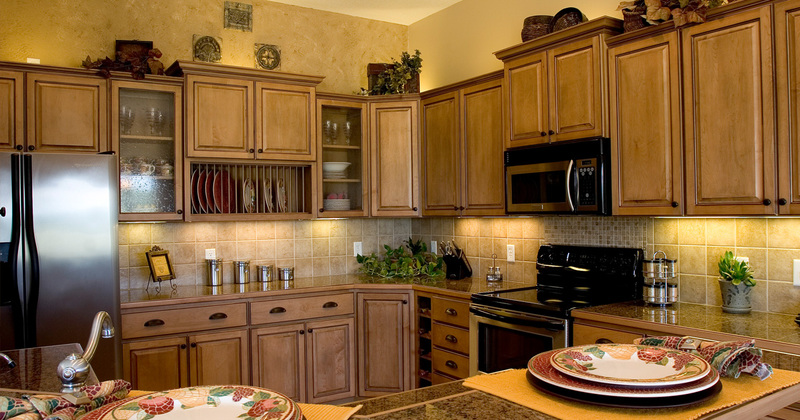 The components maker added RTA range hoods to its line of American-made products. Built on the Cabinotch cabinet box system, the hoods are available in six designs and ship flat, with the front shelf and mantle parts pre-assembled to the face frame. They can be ordered full cabinet or as face-frame only, without the cabinet box. They come in standard depths of either 18 or 21 inches. The RTA giant has positioned its WoodTrac division for success in 2014 with new strategic alliances and a range of new products. Among the products is a reach-in wood-based closet kits. Sauder also expanded the lineup of WoodTrac’s direct mount ceiling products and ceiling color options. The flooring firm added a new $1 million pre-finishing line, a 10-coat automated process that gives the manufacturer a unique niche in the market, said President Jack Shannon Jr., in announcing the news. Shamrock partnered with Valspar to develop the dual-tone color process that uses water-based and UV solid stains. “The addition of the pre-finishing plant allows us to offer designer colors and textures, and even the ability to create custom colors, that the designers, architects and contractors want and the market place needs,” he says. The bedroom furniture firm partnered with Wendy Bellissimo for the launch of mix-and-match youth furniture. The products are transitionally adaptive throughout the different phases of childhood and adolescence. “The Wendy Bellissimo Collection exemplifies Legacy Classic Kids’ long-standing commitment to producing safe and durable furniture in styles that grow well with families and their homes,” President Earl Wang said in announcing the news. The contract furniture maker’s Living Offices, which won Best of NeoCon Awards for overall showroom and booth design at NeoCon 2013 in Chicago, is built on how dramatically the internet, mobile technologies and powerful seamless information networks have transformed the way work gets done - not only by teams assembled in a shared office, but by collaborators working remote in virtually any corner of the world. In 2014 Herman Miller added new furniture platforms to complement the Living Office settings and landscapes.